The first ever ease of living index was launched on Monday to encourage cities to move towards improved living for the citizens through planning management and development. 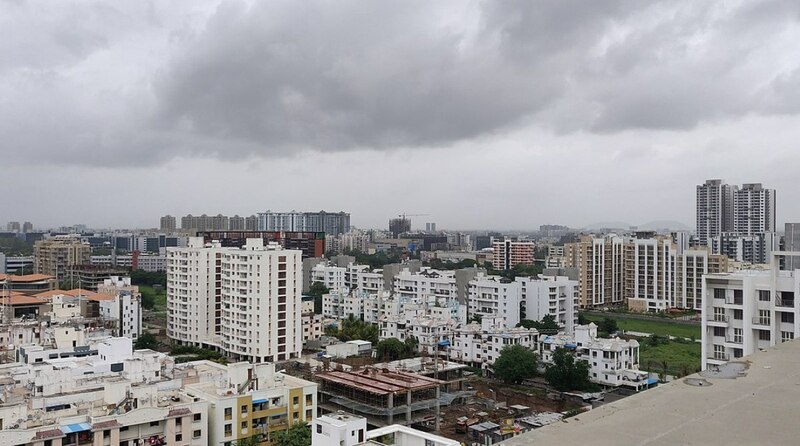 Pune topped the index finding place in each of the four parameters on which cities evaluated. Navi Mumbai, Greater Mumbai, Tirupati in Andhra Pradesh and Chandigarh completed the top five followed by Thane, Raipur, Indore, Vijaywada and Bhopal. Four of the cities in the top ten are from Maharashtra. The four main pillars were Institutional, Social, Economic and Physical. They were broken down into 15 categories and 78 indicators. While ‘Institutional’ section covered the state of governance in the cities, the ‘Economic’ section measured the economy and employment condition of the cities. The categories under ‘Social’ pillar included health, culture, security and safety, and education while those under ‘Physical’ included critical civic infrastructure from waste management to open spaces. Navi Mumbai emerged the finest city in ‘Institutional’ category followed by Tirupati and Karim Nagar. Ajmer and Kota – both in Rajasthan – came second and third, respectively, on the ‘Economic’ front behind Chandigarh. While Tirupati was found the best city on Social lines, Tiruchirappalli and Navi Mumbai came in second and third best. Greater Mumbai was found to have the best physical infrastructure among all the cities. Pune and Thane were ranked second and third in the category. 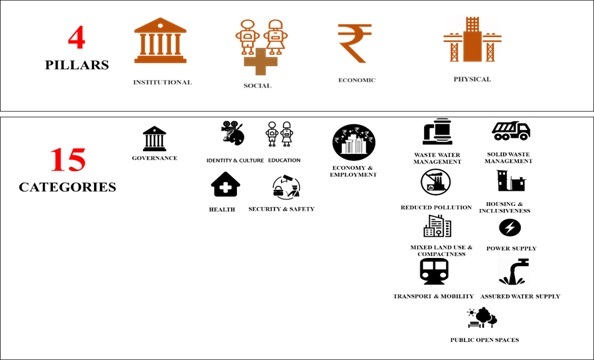 The Ease of Living Index is an initiative of the Ministry of Housing and Urban Affairs (MoHUA) to help cities assess their liveability vis-à-vis global and national benchmarks and encourage cities to move towards an ‘outcome-based’ approach to urban planning and management. It was decided in June 2017 to rank cities based on the liveability parameters. The implementation of the assessment commenced formally on 19 January 2018 covering 111 cities. It is, however, noteworthy that the 111 cities did not include a single city from West Bengal. According to the Ministry, evaluation of cities was done on a 100-point scale across the 78 indicators with the institutional and social pillars carrying 25 points each, 5 points for the pillar on economic and 45 points for the physical pillar. The ministry said that the exercise is being carried out on a mass scale and began with a National Orientation Workshop to orient city officials on assessment framework. It was followed by 33 state level workshops spread across all 36 states and Union Territories. A data entry portal and a monitoring dashboard for real time update on progress was established. The cities submitted data on more than 50000 points. Secondary audit of 10,000 documents, physical audit of 14,000 units and survey of more than 60,000 citizens have been completed which led to finalization of ease of living index. The Ministry said that the Ease of Living assessment standards are closely linked to the Sustainable Development Goals (SDGs) and will provide a strong impetus to India’s effort for systematic tracking progress of SDGs in the urban areas.